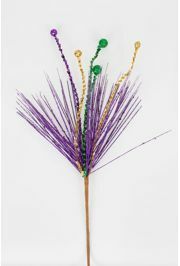 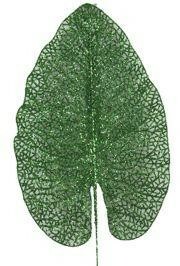 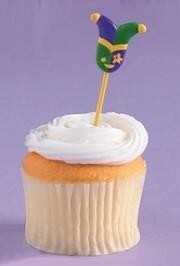 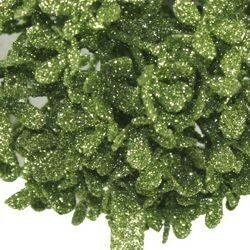 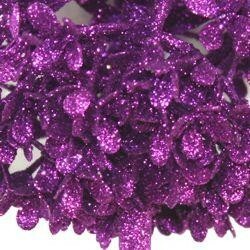 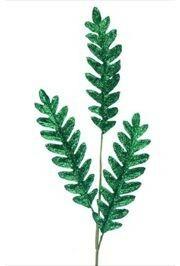 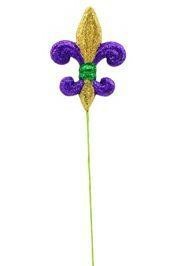 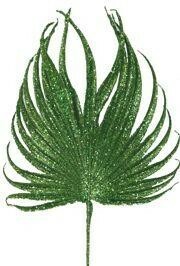 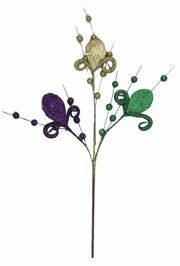 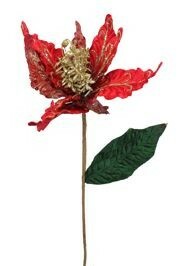 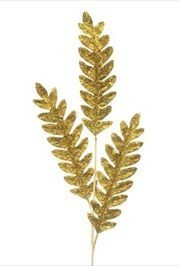 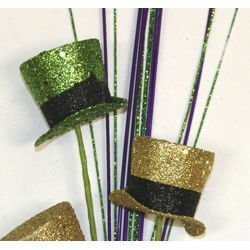 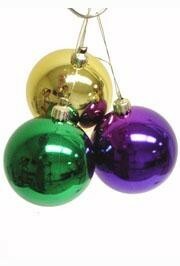 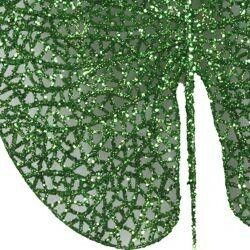 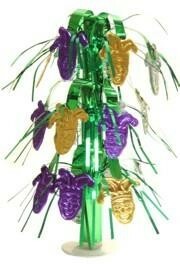 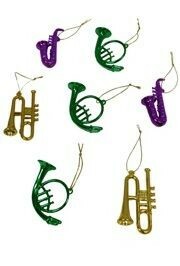 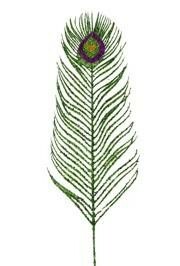 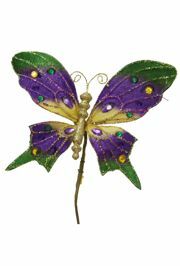 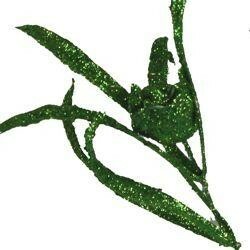 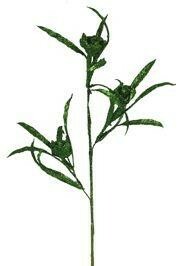 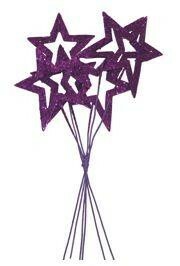 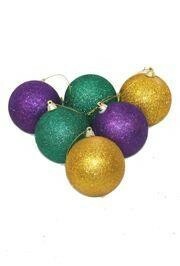 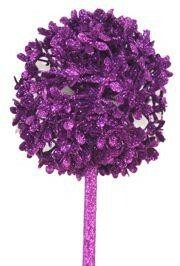 Mardi Gras picks are decorative items with a very narrow stem much like a flower. 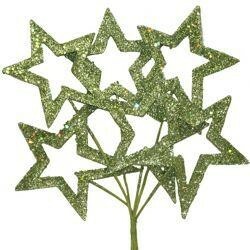 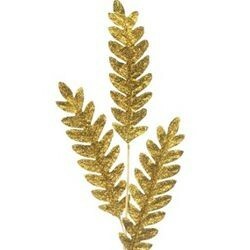 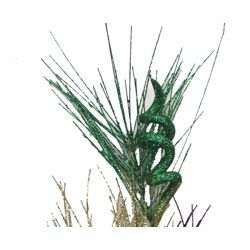 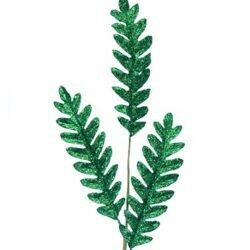 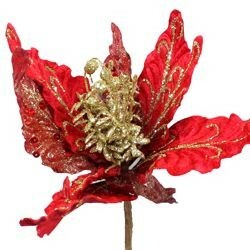 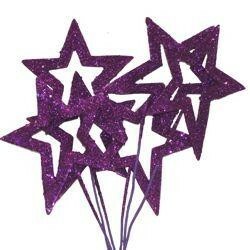 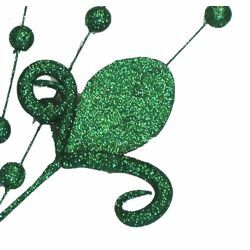 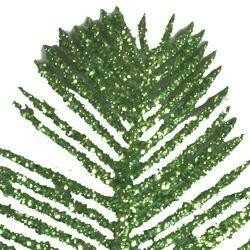 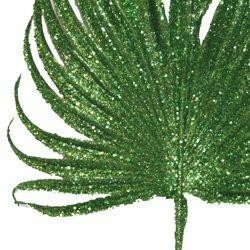 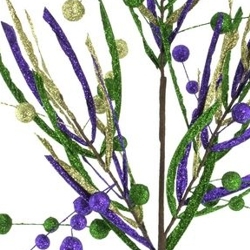 We have Floral Picks, Star Picks, Fleur De lis Picks, Glittered Center Pieces, the Glittered Leaf, Mardi Gras tooth picks, Onion Grass, and more. 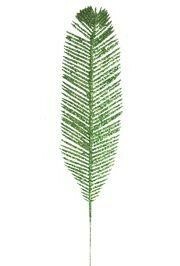 |< << 1 2 3 4 >> >| Displaying 1 to 20 of 65 Items Found. 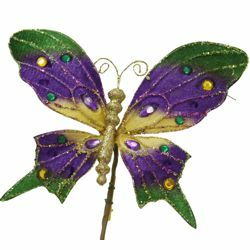 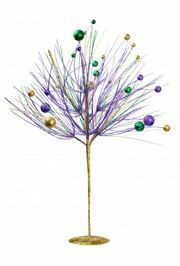 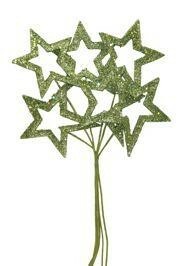 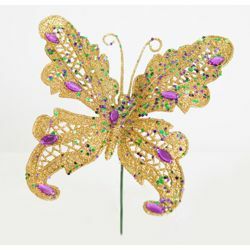 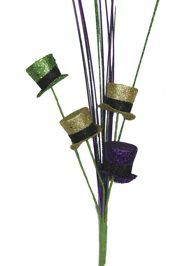 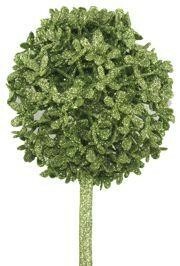 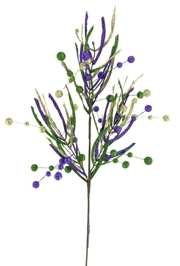 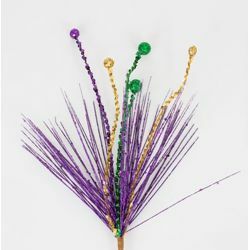 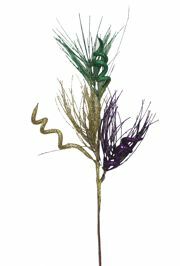 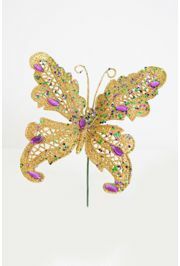 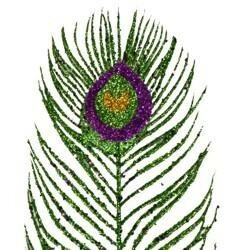 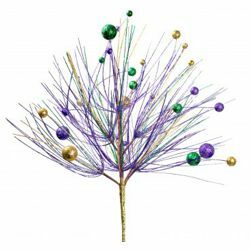 This 22" tall Mardi Gras centerpiece is made out of a gold metallic glittered stand that holds up a single stem that ends in 6 branches covered in purple, green and gold glitter and assorted sized decorative balls.